You and I both know that there's a reason why we actually colored our hair - to look better and trendy or just simply because we wanted to try something new for ourselves. But hey, what's the point of spending big bucks when the color just don't last as long as it should be? Of course, we are thankful to brands that finally come out with tons of new product that helps to protect the color and let it shine and last longer too. 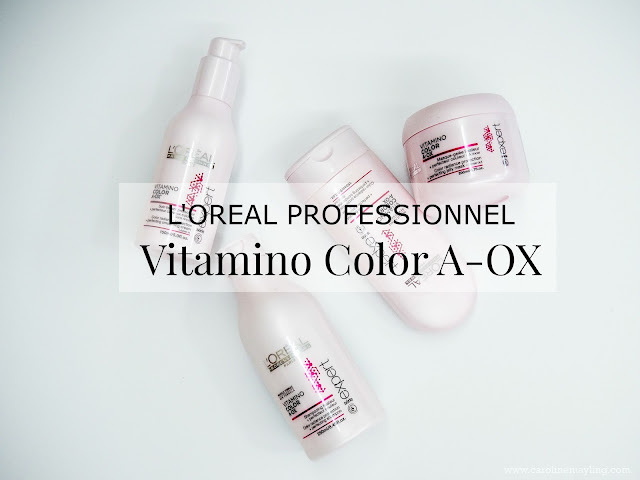 Loreal Professionnel is one of the top brands that always being innovative about their products, in order to help people like us who don't work in a salon that allow us to do touch-up and/or redye our color whenever we wish to. Just so you know that they previously already launched a much loved Vitamino Color range of hair care product, and they recently launched the latest and improved Vitamino A-OX enriched technology for enhanced hair color radiance and protection. The latest technology that enriched with UV filter (protect from UV aggressions), tocopherol (fight against oxidative stress), panthenol and neohespiridin (protective effect) - all you ever need to take care of your colored hair. It has new formula architecture to take care of color-treated hair with SiPQ6 F3 (Si: silicones to enhance shines; PQ6: new powerful cationic polymer). Last polymer generation, softer and lighter, F3 - force 3, high level of cosmeticity. It's a formula that helps preserving color radiance thanks to a powerful anti-oxidant complex. Best of all, it give better starting of the foam, improved cosmeticity and also more softness without weighing hair down. This shampoo works great in eliminating residue as well as protecting the look of the hair color radiance while enhancing shine. I love how my hair feels softer and somehow shinier than how it used to be after the regular use of this shampoo. It has new formula architecture to take care of color-treated hair with Crème Riche - rich texture for a strong on-surface caring signal. 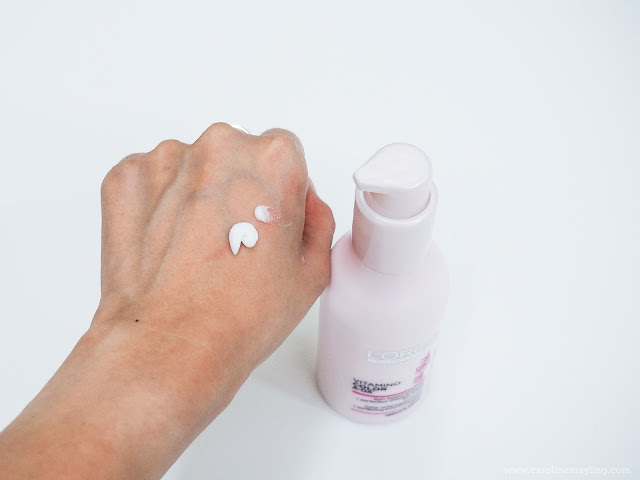 Thanks to the new formula, it is now enriched with a powerful anti-oxidant complex. By using the combo of shampoo and conditioner, you will find it is easier to detangle your hair during the blow dry process. It leaves my hair softer, with a more regular surface, but not weighing my hair down. You know, flat hair day also means bad hair day, at least to me. Of course, in order to get a better result or I would say more of a maintenance stage, I highly recommend you to get the jelly mask too! 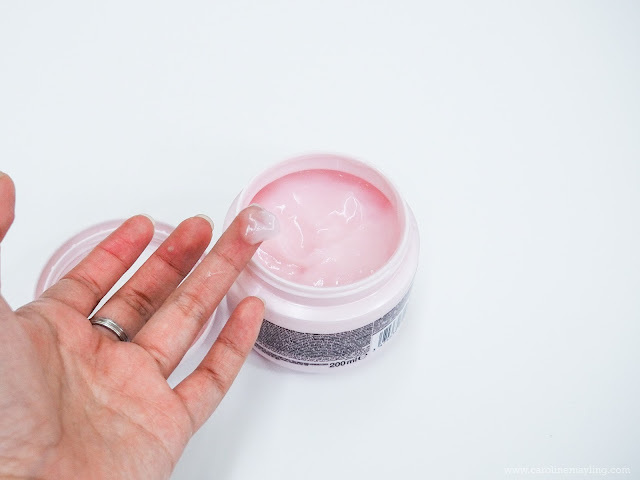 Unlike other hair mask, it has more of a jelly texture that is lighter compare to the thick and creamy type of hair mask. 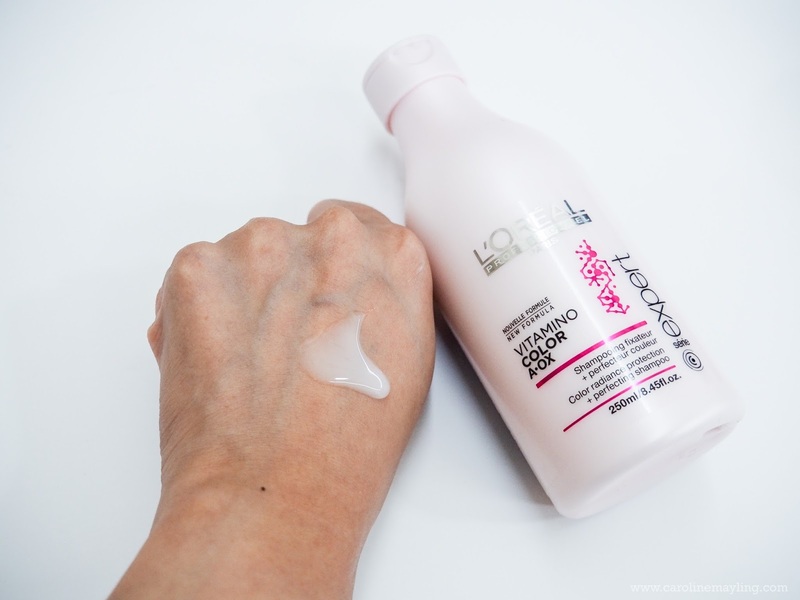 To be honest, I was first doubting this product because its light texture, but the result was really great! My hair texture feels so much softer, lighter with a hint of glossiness to it. For the ultimate result, complete your hair care range with this amazing smoothing cream. It does not only act as another color-treated hair care product, but also protecting and smoothes your hair better, especially dealing with heat and tangled hair. All you need to do is spread 1-2 pumps in your hands and apply it strand by strand on your towel-dried hair, or simply use as a finish on dried hair. What I really love about it? It doesn't give that stickiness to your hair and of course never weigh down your hair too! That's all for my colored hair care routine! What about you?